In an April 8, 2012 Appeal to Irina Bokova, Director-General of the United Nations Educational, Scientific and Cultural Organization (UNESCO), René Wadlow, President of the Association of World Citizens (AWC), welcomed UNESCO’s speedy effort to prevent damage to Timbuktu and called for negotiations between the Mouvement national de libération de l’Azawad (MNLA) and the Ansar Dine, a rival Tuareg group currently holding separate parts of the historic city. The MNLA, led by its Secretary-General Bilal Ag Cherif, is the larger group and focuses on the creation of an independent state, Azawad, comprising northern Mali and possibly part of the Tuareg-inhabited area of northern Niger. Ansar Dine, a smaller faction, is led by Ag Ghaley. It claims to want to create an Islamic state within all of Mali. Within or alongside Ansar Dine are Islamists from Algeria and Mauritania and probably other countries. Some had been fighting in Libya and are heavily armed. The aim of moving south toward non-Tuareg areas is, no doubt, unrealistic as Ansar Dine has no support in the more densely-populated south, inhabited by Bambara and Malenke ethnic groups. However, there could be an armed struggle for power between the MNLA and Ansar Dine in which the fragile, backed mud building of Timbuktu could be destroyed or badly damaged. 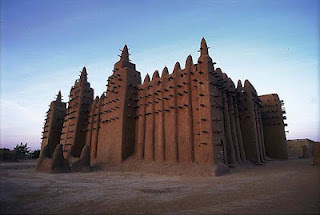 Timbuktu, a jewel of African culture and history, stands proud and tall in the desert sands of Mali. While Timbuktu was once a metaphor for the middle of nowhere, it was an important city for the trans-Sahara trade from about 800 until 1591 when Moroccan troops destroyed the then Songhai Empire of Mali and Portugal and others developed a sea-going trade that largely replaced the trans-Sahara trade. (1). During the time that trade flourished, scholars and religious preachers were attracted to Timbuktu and Gao, the other trans-Sahara “port” and learning was highly developed. The protection of Timbuktu’s cultural wealth may depend a good deal on the role of non-governmental organizations to facilitate negotiations between the MNLA the Ansar Dine and possible other armed groups. For the moment, the political situation in Mali is confused, and the protection of cultural sites in Timbuktu must not rank very high on the list of priorities. From March 22 until April 6, 2012, a military group of young officers had taken control of government buildings in Bamako claiming that the government of President Amadou Touré was incompetent in the struggle against the Tuareg. The coup was more or less led by Captain Amadou Sanogo, who had been trained by the United States (U. S.) Marine Corps, but Sanogo was probably acting on his own and not on behalf of the U. S. Marines. The negative reaction to the coup was speedy. Led by France, the former colonial power, the United Nations Security Council decided on April 4 to issue a President’s Statement (less strong than a resolution but on which all states must be in agreement) calling for a restoration of the civilian government. It is not likely that the civilian-led government of President Touré will be restored. Touré was himself a former general who had come to power in a coup, then governed in a fairly democratic way but without making many socio-economic advances. The country now faces a food crisis due in part to drought and in part to the lack of improvements in the agricultural production and distribution system. While the UN Security Council was meeting, the 15-member Economic Organization of West African States (ECOWAS) also met, calling for a return to a civilian government and closing the frontiers. During the ECOWAS meeting, it was decided to activate the Anti-Terrorism Centre which is located at Tamanarasset in south Algeria and to place some 2000 soldiers on alert. Captain Amadou Sanogo saw the “handwriting on the wall” and agreed to turn over the government to the President of the National Assembly who is the constitutional replacement when the President is absent. President Amadou Touré of Mali (left) and his rival, Captain Amadou Sanogo of the Mali military (right). The states in the UN Security Council and in ECOWAS refused to recognize the creation of the Tuareg state of Azawad, so it is unlikely that they will provide any mediators to negotiate between MNLA and Ansar Dime or to facilitate the protection of historic sites. There is on the part of many governments a dislike of carving up existing countries in order to create new states. It took fighting from 1982 to 2005 for there to be an agreement to create the new state of South Sudan and for other African states to agree to the division. The military in Bamako do not seem organized or willing to die to retake northern Mali, especially since most of the Mali military are from the Bambara ethnic group with little attachment to northern Mali in any case. Much of the initiative for the protection of educational and cultural institutions has come from the NGO world and world-mined artists. Early efforts were undertaken by Nicholas Roerich (1874-1947) a Russian and world citizen. Nicholas Roerich had lived through the First World War and the Russian Revolution and saw how armed conflict can destroy works of art and cultural institutions. For Roerich, such institutions were irreplaceable and their destruction was a loss for all humanity. Thus, he worked for the protection of works of art and institutions of culture in times of armed conflict. He envisaged a universally-accepted symbol that could be placed on educational institutions in the way that a red cross had become a widely-recognized symbol to protect medical institutions and medical workers. Roerich proposed a “Banner of Peace” — three red circles representing the past, present, and future — that could be placed upon institutions and sites of culture and education to protect them in times of conflict. 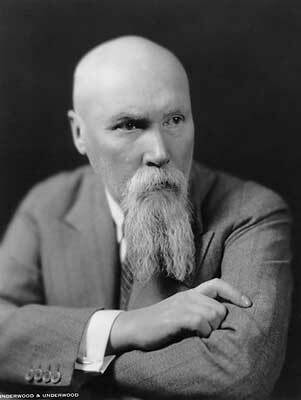 Nicolas Roerich (1874-1947), the man who opened the drive to make protection of works of art a full-fledged part of the law of armed conflict. After the Second World War, UNESCO has continued the effort, and there have been additional conventions on the protection of cultural and educational bodies in times of conflict. The most important is the 1954 Hague Convention for the Protection of Cultural Property in the Event of Armed Conflict. The spirit of the Hague Convention is clear and the protection of cultural and educational institutions should be a priority in conflicts among States or in civil wars even if no State recognizes Azawad. Therefore we, as World Citizens, all have a duty to articulate more clearly the crucial link among human rights standards, humanitarian law, and world law to protect educational and cultural institutions in times of conflict. As Nicholas Roerich said in a presentation of his Pact “The world is striving toward peace in many ways, and everyone realizes in his heart that this constructive work is a true prophesy of the New Era. We deplore the loss of libraries of Louvain and Oviedo and the irreplaceable beauty of the Cathedral of Rheims. We remember the beautiful treasures of private collections which were lost during world calamities. But we do not want to inscribe on these deeds any words of hatred. Let us simply say: Destroyed by human ignorance — rebuilt by human hope. 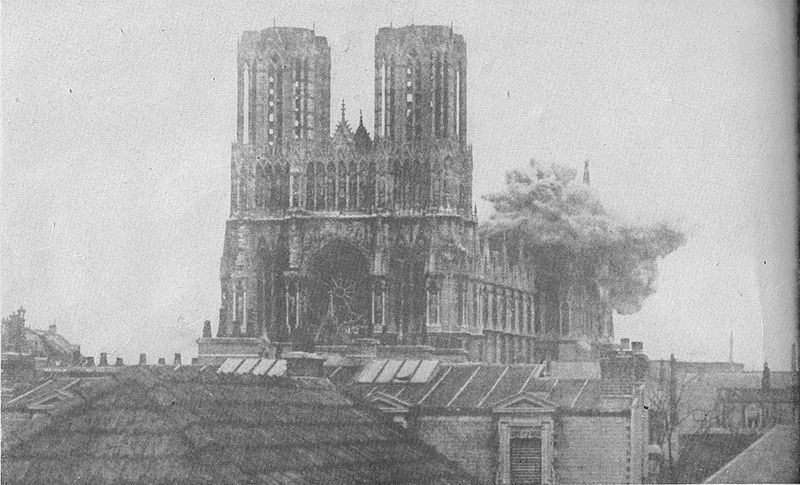 In 1914, a shell explosion at the Cathedral of Rheims in the early times of World War I. Almost a century later, can the world possibly let Timbuktu become a "casualty of war" too? René Wadlow is President and Chief Representative to the United Nations Office at Geneva of the Association of World Citizens. Thanks for information post. You are right. The article is very rich and clear. I attached a URL about a a security measures for libraries article. These measures and protection recomendation can be applicates in many libraries or cultural centres that protect the heritage, the cultural heritage. I attached a URL about a a security measures for libraries article. thesis was about protection and measures in libraries. The article is write in spanish lenguage.